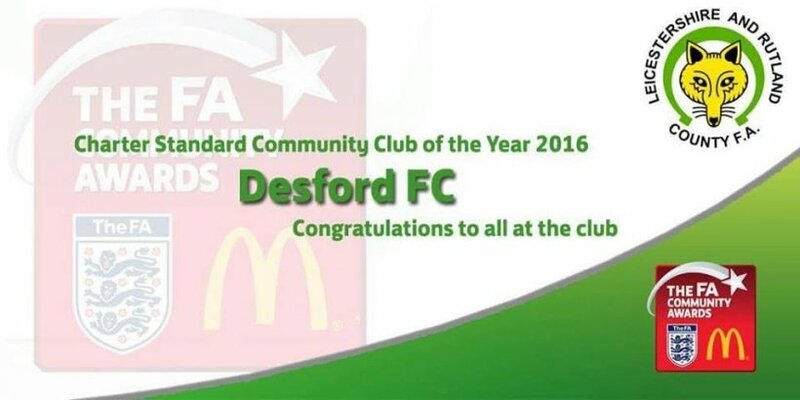 Desford FC are pleased to announce that the club has been awarded the title of Charter Standard Community Club of the year by the Leicestershire and Rutland County FA. A big Thanks to all involved in the club !! !